Thank you to all who came out to show support for making our streets safer and to honor all those we’ve lost to road crashes. Mayor Steven Fulop, Bike JC, city engineer and planner and all the concerned residents and family members, we appreciate your support. Read more here. We’re happy to have our advocacy efforts spotlighted in the NY Times’ recent article on the need for Vision Zero in Jersey City. 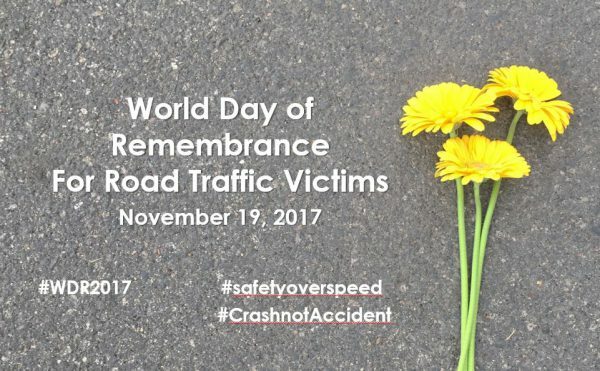 Let’s continue to keep the bright spotlight on the urgency of improving safety for all on our roads. We have BIG NEWS to share! JOIN US! 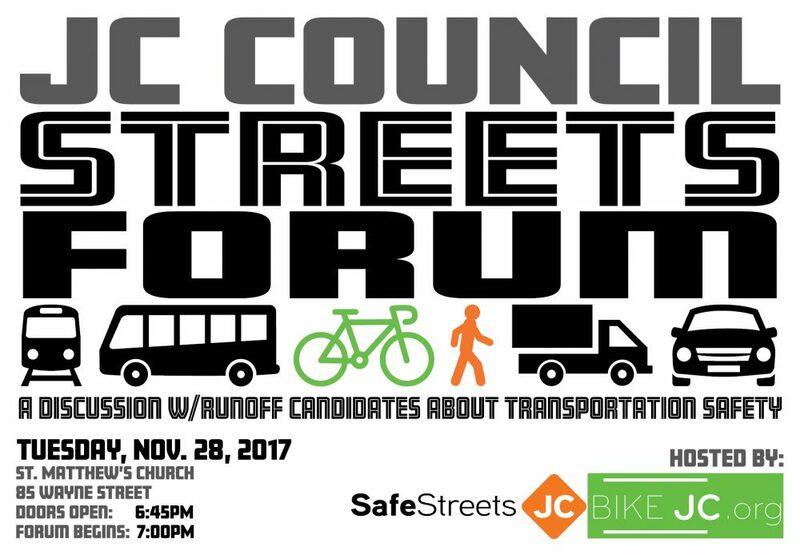 JC Council Streets Forum – Tues Nov. 28th! City Council Candidates Traffic Safety Surveys are IN! Jersey City Gov Launches Traffic Safety Commitments Webpage!